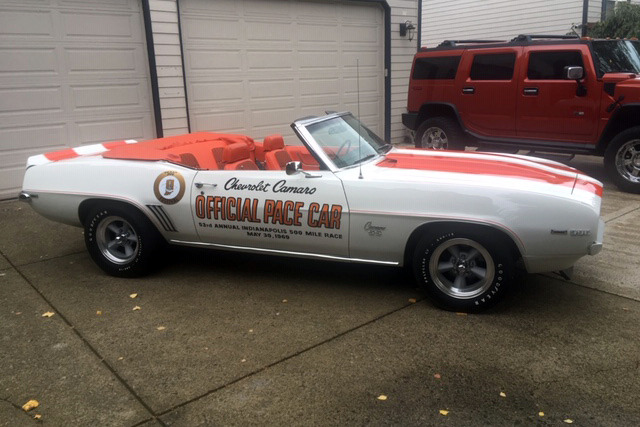 This 1969 Camaro Z11 Indy Pace Car convertible has a MacNeish Certificate of Authenticity verifying it is a factory SS 396 Z11 Indy Pace Car. 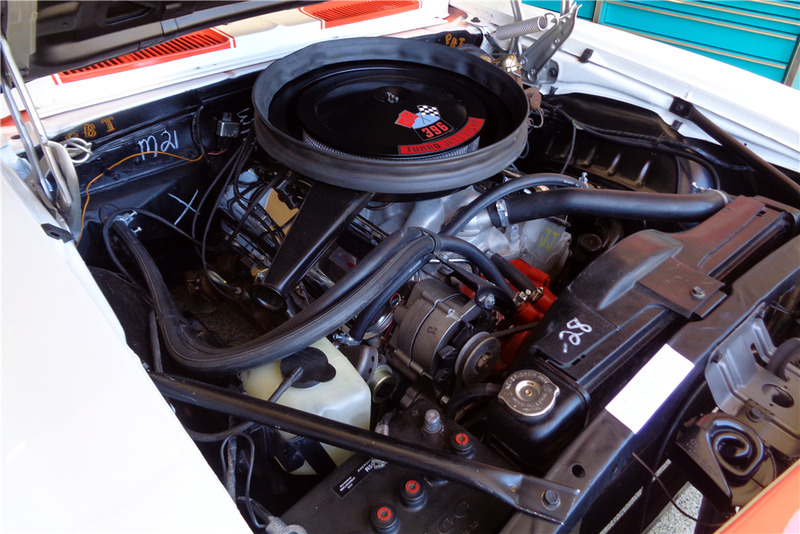 It’s equipped with its matching-numbers M21 4-speed manual transmission and 12-bolt 3.31 posi-traction rear end, and was upgraded with a 396/375hp 55-code engine with solid-lifter cam and L89-optioned GM aluminum heads. The interior features the factory tachometer and gauges, tilt steering with a GM-original rosewood steering wheel, factory AM/FM stereo and shoulder belts.